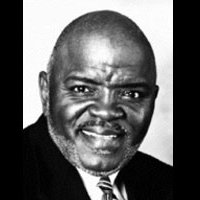 Actor and Storyteller Milton Gray has been sharing his talent with children through his work with Kansas City Young Audiences for many years. As an actor, Milton has played roles with the Jackson County Historical Society, Eagle- Reed American Theater, Paseo Baptist Church Ministry Drama, M.C. Players, and J.T. Productions. His Kwanzaa Principles program for the Kansas City Museum has been featured on television and KCUR. Charles Etta Freeman and Almeta Williams, teachers at Milton Moore School, said, “It is always evident with our children that not only did they gain something from Mr. Gray’s presentation, they had a wonderful experience at the same time."